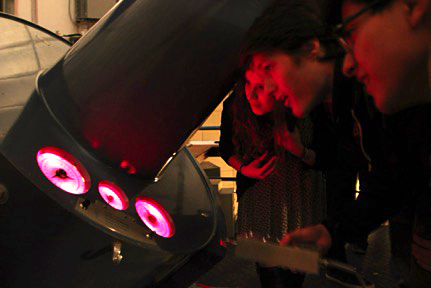 The Department of Astronomy and Astrophysics offers multiple ways for undergraduate students to study the Universe while satisfying their general education requirements in the physical sciences. Courses numbered in the 12000s present many options for choosing two- or three-quarter sequences across a range of foundational topics, from the grand principles governing the Universe and understanding its beginning, to the formation and evolution of stars and galaxies, and the search for habitable extrasolar planets. 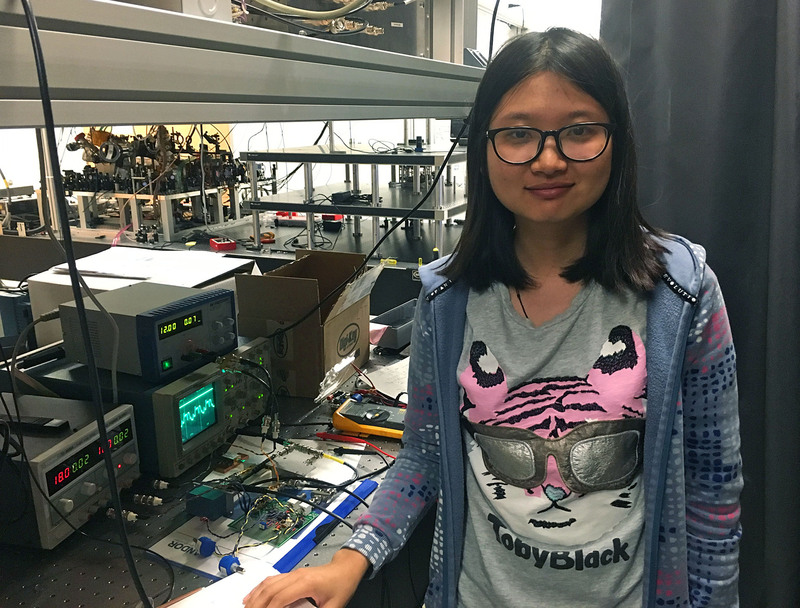 These courses include labs that feature classical experiments, opportunities for telescope observing, and data analysis. For students seeking a more in-depth examination of selected astrophysical topics, astronomy lecture courses numbered in the 18000s are offered. A complete list of undergraduate courses can be found in the Astronomy and Astrophysics section of the College Catalog. Students may pursue extended exploration of astronomical phenomena to complete the minor in Astronomy and Astrophysics. Students choose five courses to compose a rigorous program of study according to individual interest, with the requirement that their selection include at least two courses numbered in the 12000s and at least one in the 18000s. There are no physics or math prerequisites for the minor. For more information, see the page on the Minor Program in Astronomy and Astrophysics in the College Catalog. 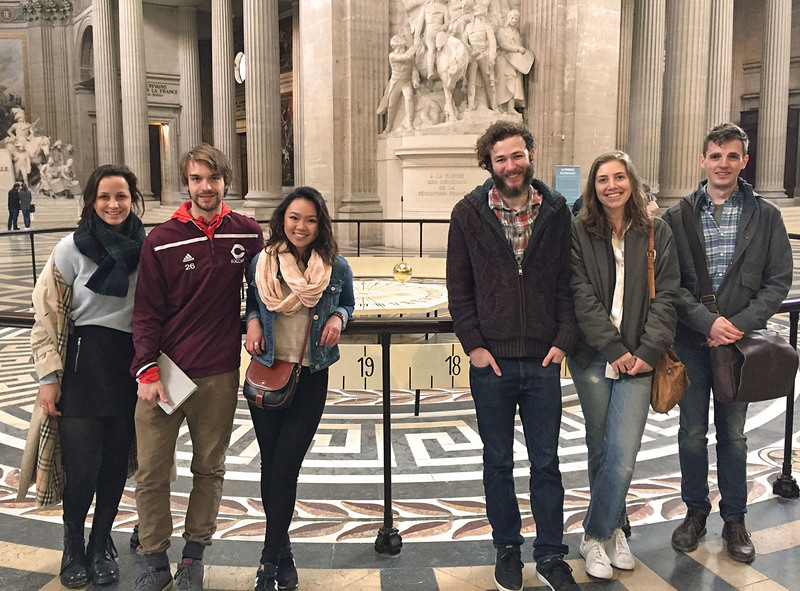 Every Spring Quarter a three-course Astronomy program is offered in Paris, composed from the courses numbered in the 12000s that are offered on campus. This sequence is designed for non-science majors but may also be of interest to science majors who want to supplement their work in physics and chemistry with a quarter devoted to the cosmos. The Astronomy program in Paris satisfies the general education requirement in the physical sciences; or, it can be counted towards the minor if the general education requirement was completed previously. For details, see the Study Abroad page for Paris: Astronomy.